We sincerely thank everyone who expressed interest in our flock during the past years. Thank you to those who purchased from the farm, and those who bid and purchased from our sale consignments. Information on the consignments will be posted here shortly prior to each sale. Also, watch for our ads in The Banner Sheep Magazine! View our ad here and in the September 2018 issue of The Banner Sheep Magazine. 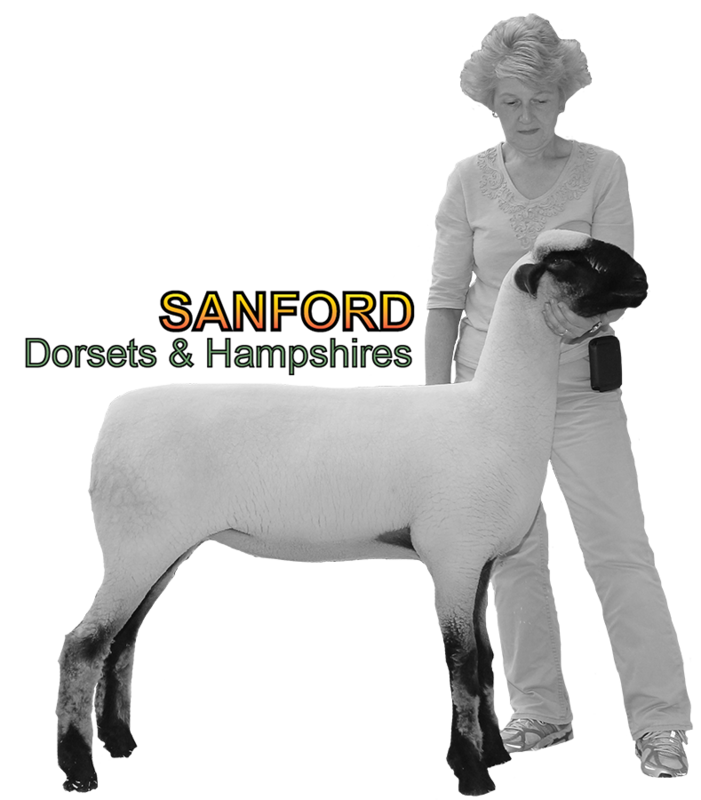 These Sanford lambs were purchased as youth projects and in conjunction with the Continental Dorset Club Futurity Program to promote youth participation. 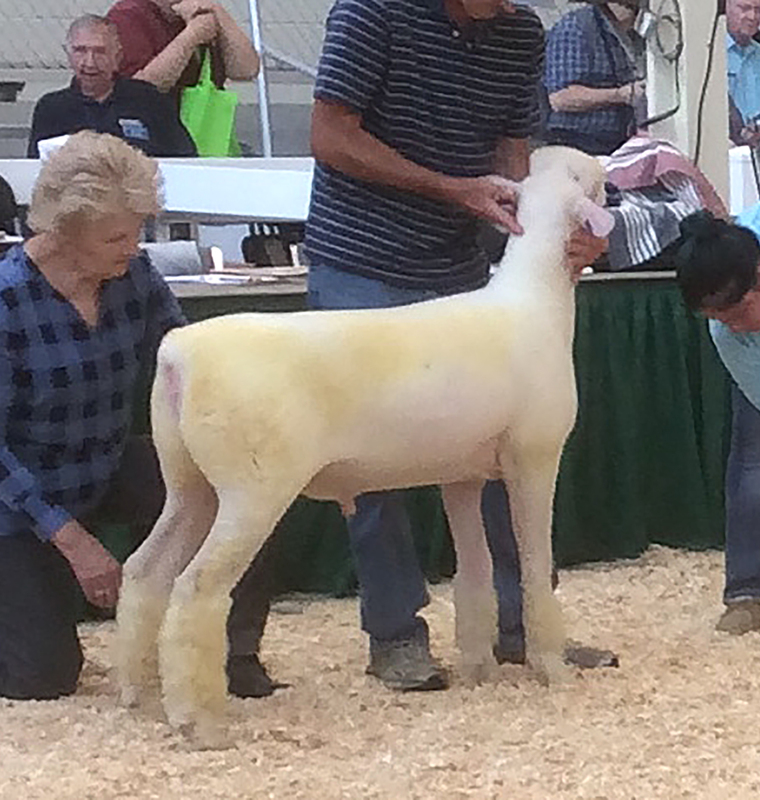 The new youth owner competes for points at numerous sheep shows and at the North American International Livestock Exposition Junior Show in Louisville, KY. 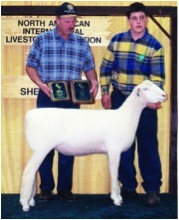 Both of these young men achieved the highest level of success possible, as both Regional and National Futurity Winners with the lambs they purchased form us. Supporting youth activities is one of our greatest rewards! 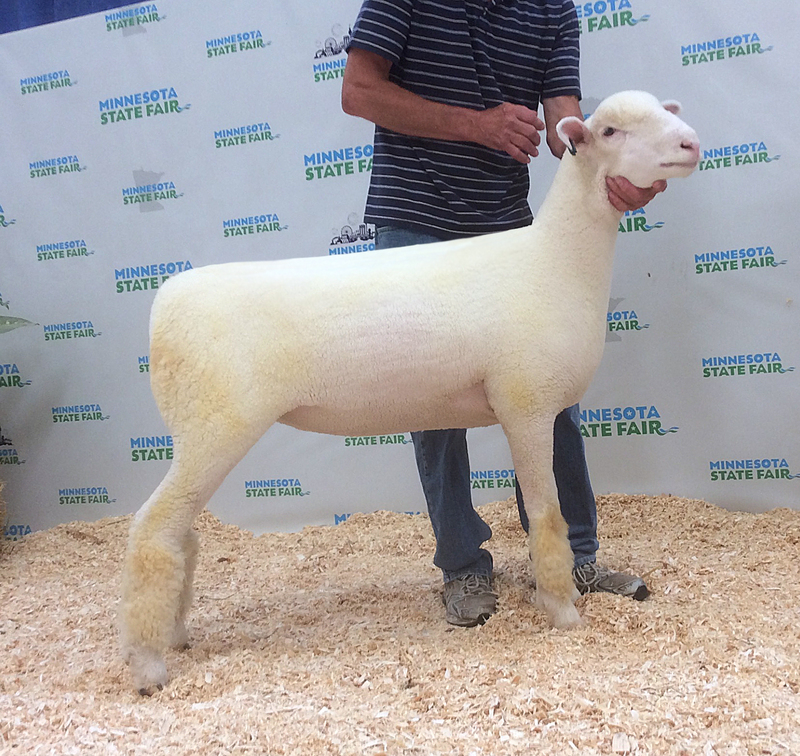 Congratulations to Mitchel Donkers, Farlbault, MN! 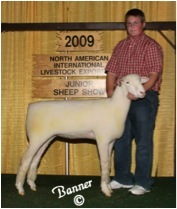 He won the North Central Region and the National Dorset Futurity in 2009. Jeremy Dreschel won the North Central Region and the National Dorset Futurity in 2002. Jeremy hails from Boonville, MO. Congratulations, Jeremy!